← Bermondsey Community Kitchen: Open Day 11th July. 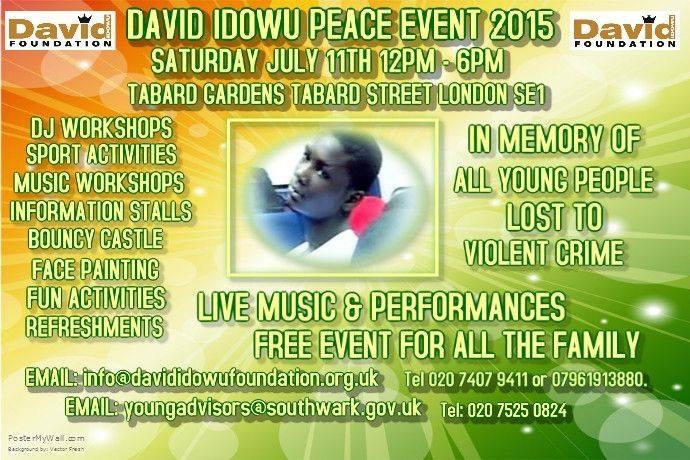 For the last six years the David Idowu Foundation has organised a ‘peace day’ event with stalls, music and speeches on the Saturday closest to the anniversary of David’s tragic death. This year the peace day will take place on Saturday 11th July, 12.00pm-6.00pm.